As always No. 1 has to be a really special venue and special is the only word that can suit this restaurant. 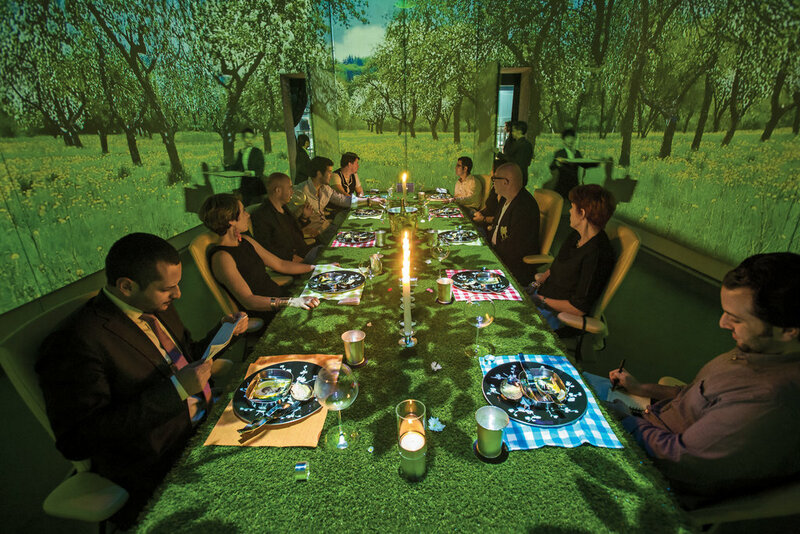 Ultraviolet is the first restaurant of its kind to provide a multi-sensory experience. That means 360 degree video projections, surround sound music and even custom scents that are supposed to enhance your dining experience. Enhance is a little word, it actually brings food to a whole new level, if you thought pitch black restaurants were interesting, wait until you see what local celebrity chef Paul Pairet has done here. Such an experience needs an example for you to see what’s happening here. ‘Foie gras can’t quit’ is one of their dishes. It is an extraordinary edible ‘cigarette’ of foie gras wrapped in a shining fruit-flavored ‘skin’ and presented on a shining silver ashtray. 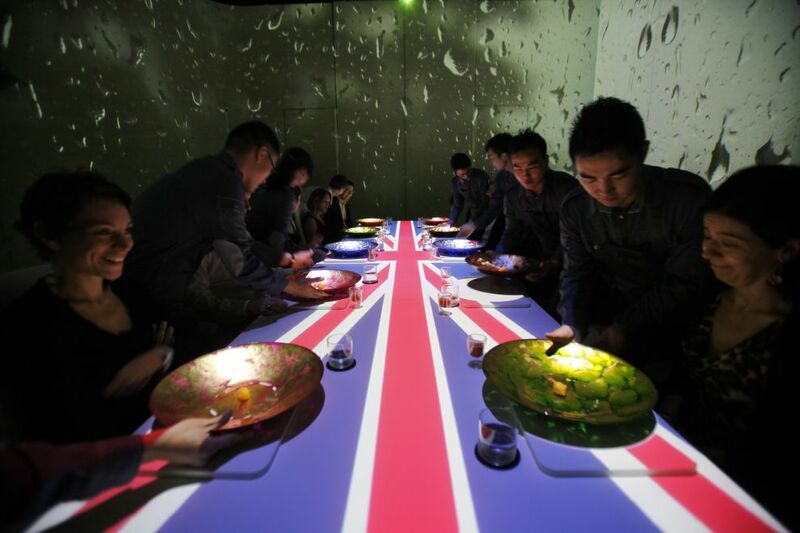 If you want something else than the classic dining experience, come here and feel this restaurant’s avant-garde style. Where would you book a table in this diverse and creative city? Also, you might enjoy reading the Best Luxury Restaurants In Moscow.